What is the best way to reduce cheating? There is a famous saying: “If you want to build a ship, don’t drum up the people to gather wood, divide the work, and give orders. Instead, teach them to yearn for the vast and endless sea.” This has a useful analogy in preventing cheating. There are many useful technical and procedural ways of preventing cheating in tests and exams, and these are important to follow, but an additional, cost-effective way of reducing cheating is to encourage participants to choose not to cheat. If you can make your participants want to take the test fairly and honestly — by reducing their rationalization to cheat — this will reduce cheating. As shared by my colleague Eric Shepherd in his excellent blog article Assessment Security and How To Reduce Fraud, cheating at a test is a variant of fraud. 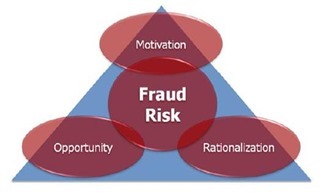 Donald Cressey, a famed criminologist came up with the fraud triangle shown in the diagram to the right to explain why people commit fraud. In order for someone to commit fraud (e.g. cheat at a test), he or she must have Motivation, Opportunity and Rationalization. Motivation comes from the stakes of the test; for an important test, this is difficult to reduce. Opportunity arises out of technical and procedural weaknesses in the test-taking process, and you can obviously strengthen processes to reduce opportunity in many ways. Rationalization is when someone reconciles their bad deeds as acceptable behavior. We all have values and like to think that what we are doing is right. When someone conducts fraud, they typically rationalize to themselves that what they are doing is right or at least acceptable. For example, they convince themselves that the organization they are robbing deserves it or can afford the loss. When cheating at a test, they say to themselves that the test is not fair or that they are just copying everyone else or they find some other excuse to rationalize and feel good about the cheating. 1. Formalize a code of conduct (e.g. 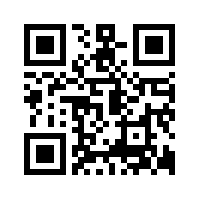 honesty code) which sets out what you expect from test takers. Communicate this effectively well in advance and get people to sign up to it right before taking the test. For example, you can put it on the first screen after they log in. This will reduce rationalization from people who might claim to themselves they didn’t know it was wrong to cheat or that everyone cheats. 2. Provide fair and accessible learning environments where people can learn to pass the assessment honestly, and provide practice exams so people can check their learning. Rationalization is increased if people think there is no other way to pass the test than cheating. 3. Make sure that the test is trustable (reliable and valid) and fair. If the test is not seen as fair, people will be less like to rationalize that it’s permissible to cheat. 3. Communicate details of why the tests are there, how the questions are constructed and what measures you take to make the test fair, valid and reliable. Again, if people know the test is there for good reason and fair, they will be less motivated to cheat. 4. Maintain a positive public image. This will reduce rationalization by people claiming that the assessment provider is incompetent or has other faults. 5. Communicate your security measures and how people who cheat are caught. This makes people less likely to think they will be able to get away with it. For many organizations — in addition to other anti-cheating measures — it can be very productive to spend time reducing participants’ rationalization to cheat, thereby helping them choose to be honest. 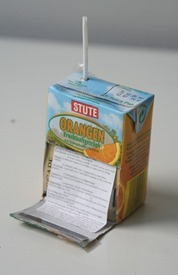 The picture on the right shows a “cheat sheet” or “crib sheet” hidden in a juice carton. Think of ways you can encourage participants to use their inventiveness to learn to pass the exam, not to believe it’s okay to defraud you and the testing system. I hope you find this good practice tip helpful. I’ll be presenting at the Questionmark Users Conference March 10 – 13 on Twenty Testing Tips: Good practice in using assessments. Taking measures to reduce rationalization for cheating will be one of my tips. Register for the conference if you’re interested in hearing more. A large organization relies on a chain of actions taken by its geographically and functionally separated employees to execute its business. In order to comply with regulations, employees must act competently and follow proper procedures; employees’ weaknesses or failures can impact business and/or jeopardize an organization’s ability to demonstrate regulatory compliance. Assessments delivered online to employees are one of the few ways — and likely the best way — to touch individually on your entire workforce and ensure that they understand their role in your business and what is required of them to meet business and regulatory needs. 1.The most compelling reason to conduct assessments is that they are legally required! Many regulators specifically require periodic assessments, others require companies to ensure that their staff are competent without specifying in detail how this is to be done. But increasingly regulators are upping the ante, and requesting more evidence for compliance. Prosecutors should therefore attempt to determine whether a corporation’s compliance program is merely a “paper program” or whether it was designed and implemented in an effective manner. … In addition, prosecutors should determine whether the corporation’s employees are adequately informed about the compliance program and are convinced of the corporation’s commitment to it. This will enable the prosecutor to make an informed decision as to whether the corporation has adopted and implemented a truly effective compliance program that, … may result in a decision to charge only the corporation’s employees and agents. 3. Assessments are the best way to document that training needed for compliance has taken place. See Proving compliance – not just attendance for more on this. 5. Assessments can reduce time spent in unnecessary training by allowing capable employees to “test out” of compliance training. See Save Time by Testing Out of Compliance Training? for more on this. 6. As readers of this blog will be aware, online assessments help employees learn and help you direct where they need to learn. Most successful organizations don’t just train for the sake of compliance: they use compliance mandated training for business advantage by increasing employee skill and service levels. 7. Trying to get the information you need from your employees to prove compliance would be much more expensive and costly and error-prone without online assessment!